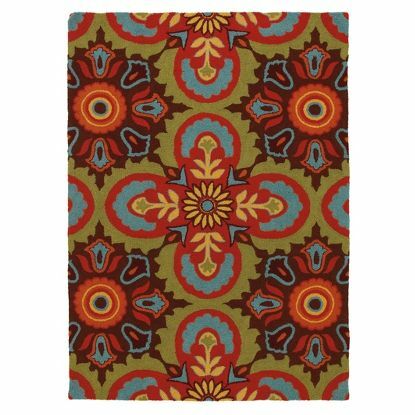 Inspired by the motifs on colorful Talavera pottery from Mexico, this rug enlarges upon a beautiful tile pattern in shades of terra cotta, chocolate, lime green, orange, and turquoise. 100% polyester. Indoors and Outdoors.